Copper, copper content of more than 99%, copper products with excellent ductility, easy to shape a variety of shapes. 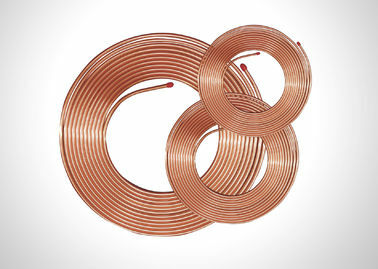 Copper in the refrigeration, plumbing, electromechanical and other industries have a wide range of applications. Copper cooling tube, with a very good thermal conductivity, and easy processing molding, welding simple, long life and other advantages; copper plumbing pipe, drinking water has a very good bactericidal effect, the service life can be up to a hundred years, and can be almost 100 % Recovery and reuse; copper inside the pure copper has a very excellent conductivity, in the power, electric furnace, nuclear power and other fields have a wide range of applications.